Basketball Post Padding – Removable or Permanent? Special Offer Time. Basketball Post Padding – Removable or Permanent? When schools and sports clubs contact us regarding their safety post padding requirements, the conversation will always come down to one of two options; removable post padding that must be taken away after use or permanent post padding that will be left out in all weather. We manufacture both types of padding, specifically made for Department of Education Outdoor Basketball sets, in our premises in Co. Carlow. Our removable post padding incorporates Velcro backing to securely hold the basketball padding in place when in use. The Velcro also allows the padding to be very quickly attached/removed. Every school/sports club is different, some have issues with their courts being used after hours. Removing the basketball padding may make things less attractive to after hours visitors. The two main disadvantages to removable / Velcro safety padding are that the teacher/supervisor may find it annoying to constantly bring the padding in and out, (when they find it in the store room). The Velcro strip also isn’t as robust as the eyelets, with time and use the Velcro will wear. Permanent post padding comes in the form of approximately ten eyelets punched in the back of the padding and secured in place with cable ties. This type of padding is water proof, has a range of easily cleaned covers and can be left out in all weathers. On balance this safety padding option proves to be more popular with schools and clubs. Once its secured in place, it stays there throughout the year. Basketball Post Padding Special Offer. 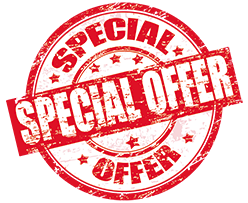 The school year is almost at an end, state exams across the country have started today so we have decided now would be a good time to extend a special offer. Claiming your free Outdoor Basketball Padding? We’re offering only 10 sets of our Outdoor Basketball Safety Padding, worth (€240 – Vat & Delivery) at €210 until July 4th. So which ever comes first. When the 10 sets are gone – they’re gone! Claiming your special offer Outdoor Basketball Padding? basketball padding, basketball post padding, special offer basketball padding. Last week we created a Facebook competition to win a pair of tickets to see the European Champions; Leinster play Gloucester at the Tallaght stadium, 11th August. 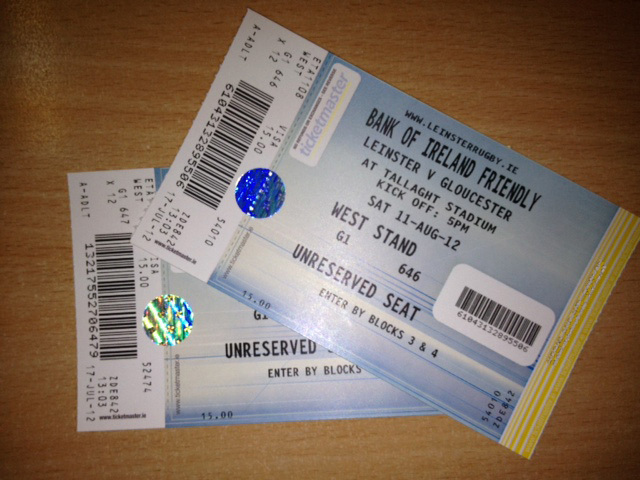 To enter we asked visitors to the Fitness Functions Facebook page to ‘share’ & ‘like’ leinster rugby photos. Thanks to all that entered and supported the competition, theres only one winner this time around. Congratulations Amanda, please email your contact postal address to info@fitnessfunctions.ie and we’ll pop the tickets in the post for you. We’ll be running more Facebook competitions again soon, so keep an eye out. 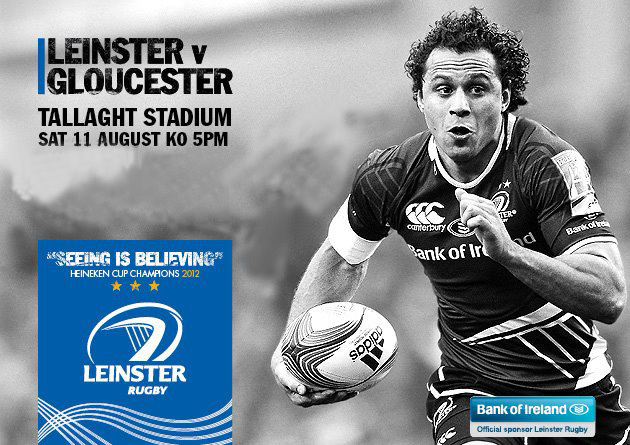 We are giving away a pair of tickets to see European Champs Leinster play Gloucester @ Tallaght Stadium, Saturday August 11th. Just ‘Like’ and ‘Share’ the photo above on Facebook, click here to visit our Facebook page for a chance to win these tickets. When & how we announcing the winner? 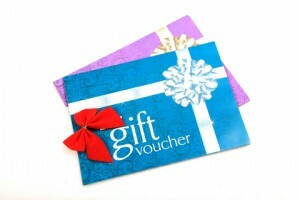 Fitness Functions will pick 1 random winner on Wednesday 25th July @ 2.30pm, announced on Facebook. T&C apply. Good Luck to all you Rugby fans, especially those true Blues! 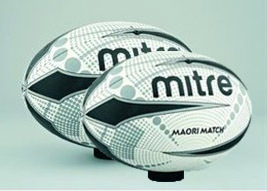 Maori Rugby Prizes & Winners. An historic weekend for Irish Rugby; the 1st All Ireland European Cup final. It didn’t disappoint but Leinster proved beyond any doubt that they are the best team in Europe, possibly the best club team Europe has seen. Ulster put in a spirited performance, particularly at the begining of the second half but Leinster were simply irresistible. Congratulations!! To claim your rugby prize email niall@fitnessfunctions.ie with your postal address details. The 'Tullow Tank'. Our local boy turned very good indeed. Thanks to all that entered the competition. That maybe the end of the European Rugby for this year but we’re sure to be giving away some more sports equipment prizes and running more competitions so find us on Facebook and “Like” our page to be in with a chance of winning these sporting freebies & prizes. A simply breathtaking weekend for Irish Rugby. 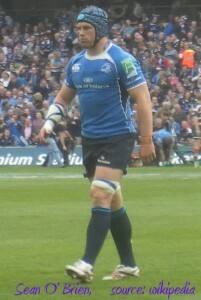 Leinster now go head to head with Ulster, May 19th @ Twickenham. We had a gut feeling that it would be an “All-Ireland” Heineken European Final. Leinster did run it too close for comfort! Congratulations!! To claim your rugby prize email niall@fitnessfunctions.ie with your address details. Thanks to all that entered the competition. We’re sure to be giving away some more sports equipment prizes and running more competitions coming up to the Twickenham on the 19th so find us on Facebook and “Like” our page to be in with a chance of winning these sporting freebies & prizes. 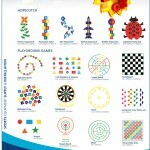 Playground Markings 10% Discount to first 10 Schools. 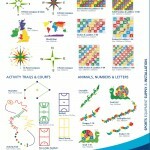 Playground Markings – 10 Schools & 10% Discounts. To celebrate the arrival of “Early Summer” and our new range of Playground Markings we are giving 10% DISCOUNT to the first 10 schools to request a Quote. We’ll even help with design of your playground to ensure you get the absolute best from it! 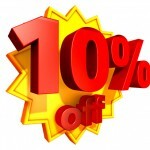 Email niall@fitnessfunctions.ie or lo-call 1890-252-856, mention this Facebook message for your discount. Offer ends 30th April. T&C apply, see our website. Click images below to View and Enlarge. 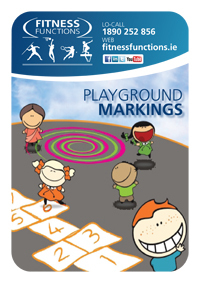 For more information on our Playground Markings just email Niall Clancy, Digital Marketing Manager, niall@fitnessfunctions.ie or lo-call 1890-252-856. Facebook Sports Prizes & Winners. We will be posting more sports competitions, special offers and discounts up. Just click the ‘Find Us’ icon above & then the ‘Like’ button on our Facebook page for the latest competition information. Nike Fleece Hoody for Spring time? With the days brightening up and even more chances to be active outdoor, we decided to run another competition. 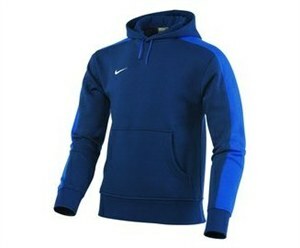 This time we will give away 3 Nike Team Fleece Hoodies. They come in a range of sizes ( 25/27, 28/30, 31/33) and combinations of 5 colours ( Obsidian/Royal Blue, Black/White, White/Black, Royal Blue/Obsidan and Varsity Red/Black). Simply go to our Fitness Functions Facebook page (click facebook button above) and instead of ‘like’, we ask that you ‘SHARE’ the Nike Fleece Hoody photo. Our last competition was all about ‘linking’ this one is all about ‘sharing’. We’ll then put our ‘SHARERS’ in our draw and announce the 3 winners on Wednesday, 7th March, let’s say 2.30pm. Could n’t be easier !! Best of luck to one and all. 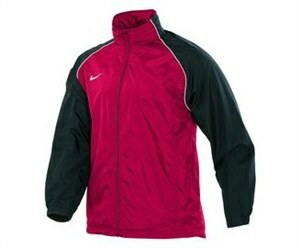 Nike Team Rain Jackets – Facebook Sports Prizes. €250 School Sports Voucher Winner. Fitness Functions €250 School Sports Voucher. Firstly, a massive thanks to all those teachers and schools who expressed an interest in our €250 School Sports competition. The response from our Facebook page and at the IPPEA Conference, was so positive it has encourgaged us to run even more schools draws and competitions. Without any further delay the winning school entrant was Galway Community College, Moneenageisha, Co. Galway entered by Claire Quinn and Susie Cunnigham who can take equal credit. A massive congratulations from everyone here in Fitness Functions and once again, thanks to all that entered. To ensure complete independence we used the little device below to select the School winner. You can even try it yourself.